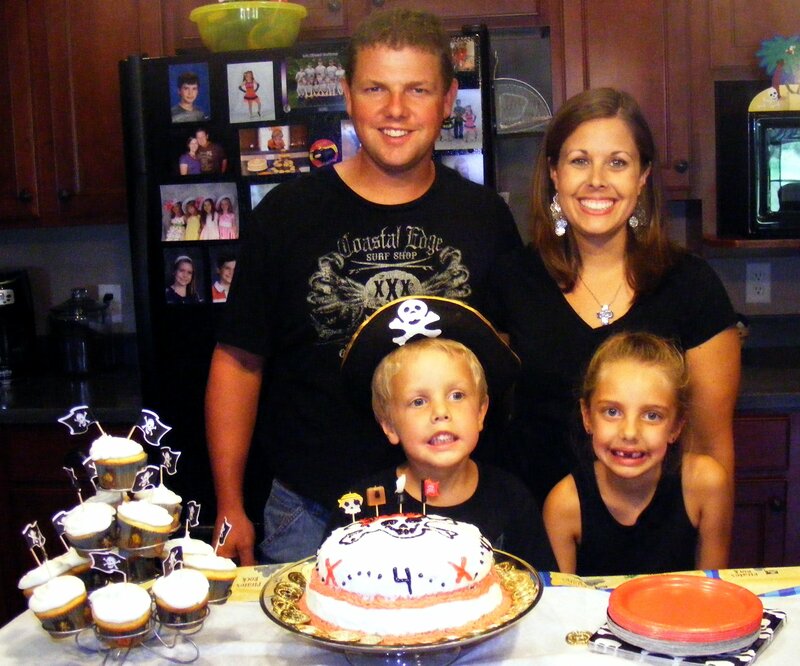 Life Down Our Lane: Ahoy Matey! 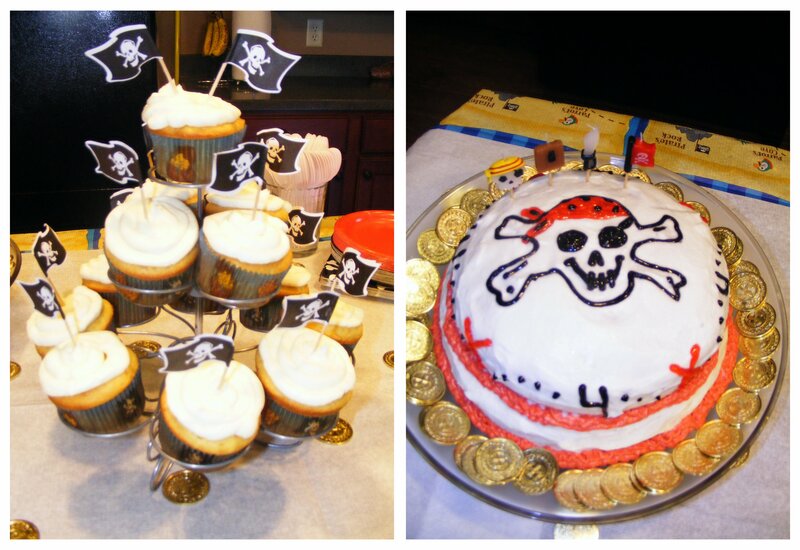 Last week we celebrated Gauge's 4th Birthday with a Pirate Party. On his actual birthday (the day before the party), my Dad decided that he wanted to surprise Gauge and dress up like a pirate. He took it upon himself to go online and research ways to make your own costume....then went to the local thrift store to purchase everything. I think it's totally ADORABLE that he did this for Gaugie! Go Papaw!! The day of the party I worried about the weather because it was looking pretty overcast in the morning. It turned out to be a gorgeous (and hot) day. We were thankful for my in-laws pop up tent because our house (being pretty new) doesn't have shade trees. We borrowed Uncle Nate's old tattered pirate flag to fly out front to welcome our guests. I tried my hand at replicating a cake that I found online. It turned out just ok. It tasted yummy and Gauge liked it....so I guess that's all that matters. 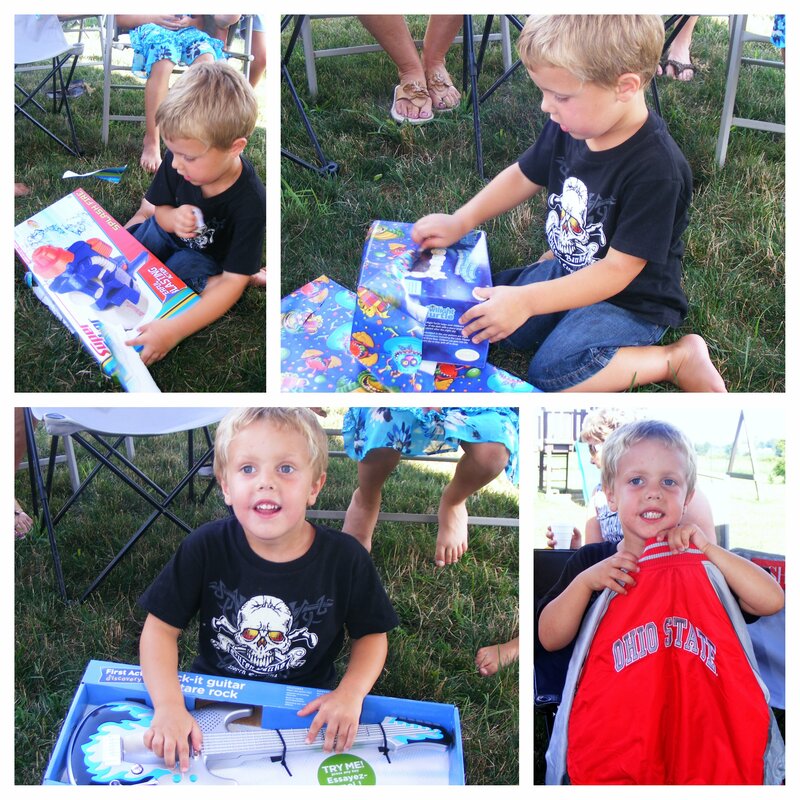 Gracie was such a great little helper for Gauge while he opened up all his presents. She let him pick out which one he wanted to open and she would go around and get it. Once he was done with that particular present she would help pick up the trash and neatly stack his present in a pile. 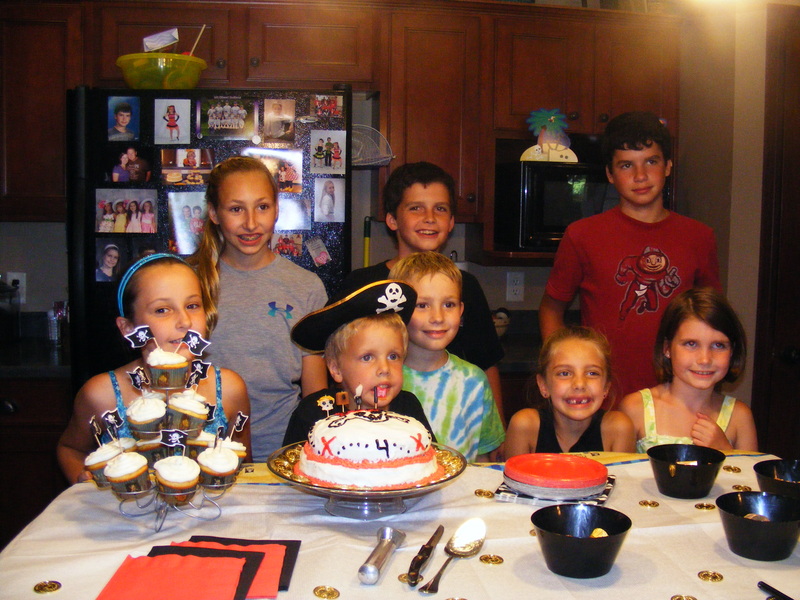 All the cousins now.....Say Cheese! 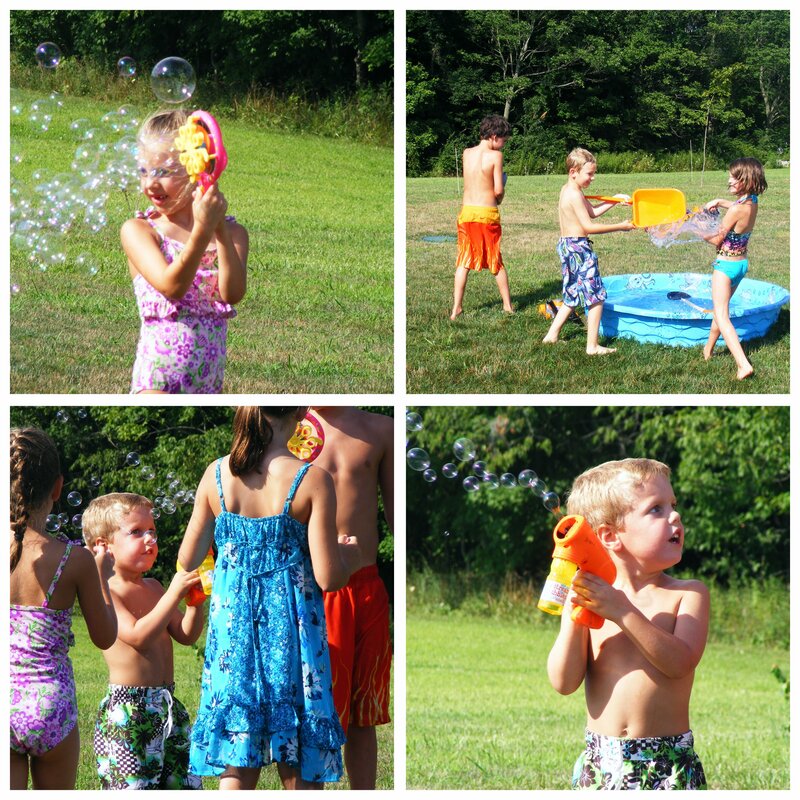 And what's a summer birthday party without some good ole fashioned water and bubble fun! We had such a wonderful party. 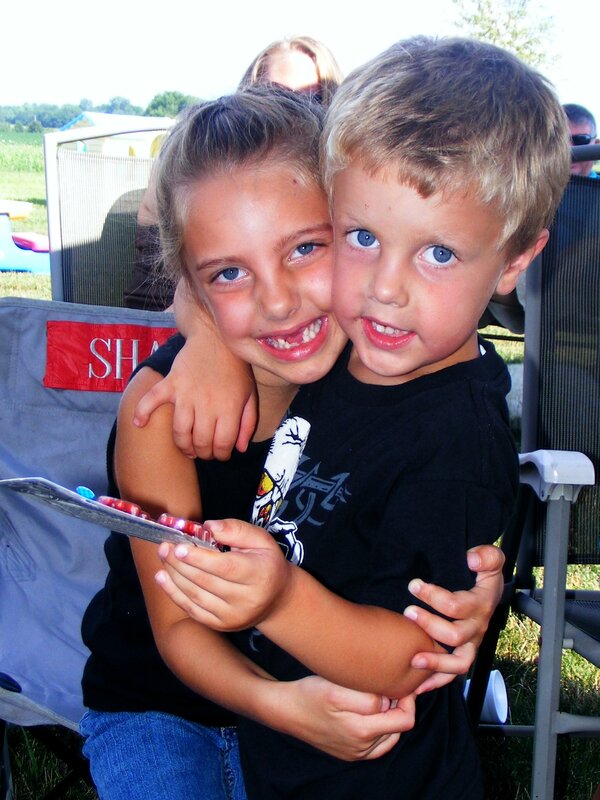 It's still hard to believe that my baby boy is now 4 years old!! WOW time flies. I love you so much Gauge Rylen! !